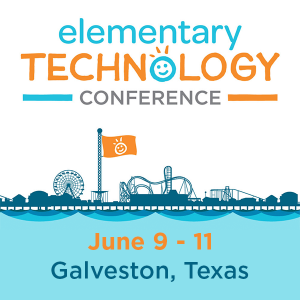 Home Tags Posts tagged with "curiosity"
If you’re gearing up for the 2019 TCEA Convention & Exposition right now, then one of the many things you’re probably excited about is our opening keynote from Dr. Mae Jemsion. (And if you’re not currently gearing up for the Convention, don’t worry; there’s still time to register.) 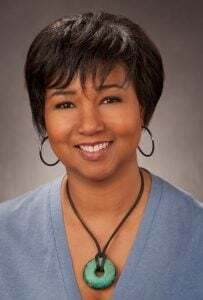 Dr. Jemison has long worked in STEM fields. She is a former astronaut and an engineer, social scientist, entrepreneur, and educator. You can learn more fun facts about her background here. Her approach to education and encouraging future scientists, tech leaders, engineers, and mathematicians is to cultivate their curiosity about the world. I had the pleasure of speaking to Dr. Jemison and learning a bit more about her views on education, STEM learning, and more. The Earth We Share program was designed to help teachers as much as students. “We wanted to give teachers the opportunity to see that you could get even better results when you have the students in pursuit of information rather than you telling them they have to absorb it.” She encourages teachers to guide students in searching for their own answers by trying things out. Another way Dr. Jemison sees that educators can help support student curiosity and problem-solving is to embrace differences and allow students to learn how they learn best. “An issue I sometimes see in education is that we want everybody to learn at the same rate and the same way and the same thing.” By letting students learn in the way that is best for them, it can allow their curiosity and critical thinking skills to flourish. See You in San Antonio! Do you want to hear more from Dr. Mae Jemison and the exciting things she sees coming for education and science? Make sure to check out her keynote at the 2019 TCEA Convention & Exposition in San Antonio. She’ll be speaking on February 5 at 1 p.m. If you’re an elementary or middle school teacher, I would encourage you to try the free website Wonderopolis. With a tagline like “Where the Wonders of Learning Never Cease,” it’s got to be a great educational tool, right? Created by the National Center for Families Learning (NCFL), Wonderopolis is beautifully designed and sure to draw you in. Each day, the site poses a question, the Wonder of the Day, and then explores it in a variety of ways. The content is multidisciplinary and aligned to Common Core Standards, the STEM Educational Quality Framework, and Bloom’s Digital Taxonomy. Each Wonder includes detailed but easy to read information to answer that day’s question, follow-up activities for kids to do, and related Wonders to explore. What is especially great is its treatment of vocabulary words. Words that students may not know in the reading are highlighted and provided in a Wonder Words vocabulary list on the side. Students can even take a quiz to see if they understand the words. There is also a knowledge quiz at the end to measure comprehension. I found myself really interested in the various wonders that had been posted previously and I think your students will, too. From questions like “Will a watermelon grow in your belly if you swallow a seed?” to “What makes the ocean blue when water is clear?”, the questions are sure to prompt curiosity and thinking. Using Wonderopolis in class, for me, would involve first posting the Wonder question of the day on the board and asking students to think about it, reflecting on what they may already know about the topic. I would also ask them to brainstorm answers to the question and defend those answers to the class before we open the website. After discussing the question and its answer, I would ask students if the new information that they’ve learned can be applied to any other situation. For more teaching ideas, NCFL also provides the Wonder Ground, which offers lesson plans and additional resources for each of the Wonders. There’s even a free HTML widget that you can download and use to put the Wonder of the Day on your own website for others to use. We know the importance of fostering curiosity in our students, of getting them excited about the world, and of helping them to learn to find answers to their questions. Wonderopolis does all of this for us and makes learning fun at the same time. Stay connected with TCEA! Join our email list to receive the latest TechNotes posts along with TCEA news and updates.